Major spoilers ahead for “Twin Peaks: The Return” up to Part 14. It’s hard to steal a scene in a “Twin Peaks” installment, especially after everything that happened in Part 14. But Freddie Sykes, played by newcomer Jake Wardle, somehow managed to do just that. And it’s partially thanks to YouTube. Wardle has no other professional credits to his name. However, purveyors of viral YouTube videos may recognize him as Truseneye92, who achieved low-key online fame in 2010 when he showed off the English language in 24 accents. At the time of this writing, the video has over 27 million views. Wardle never claims to be an expert on accents. He messes up quite a few times in the video. For instance, his “Italian-American” accent is more of a “Godfather” impersonation while he uses British phrases in his American standard accent. However, watching him jump from accent to accent, from England to Ireland to the United States, is impressive. Considering he made the video to, according to him, appease his friends, it’s a solid effort. Wardle showed how much he improved in 2015 with the original video’s sequel, where he did 67 accents and voices. He also included a disclaimer with this one, highlighting his amateur status and how a lot of the voices he got from watching TV and movies. Since his videos, Wardle has been working as a voice over artist. However, “Twin Peaks” is his first major role. And according to him, he got it because of his accents. On his website, Wardle claims that David Lynch saw the accent videos — specifically the 2010 one — and got in touch with him about potential roles. Wardle said that he kept in touch with the director over Skype until 2014, when Lynch said he wanted to cast him in the “Twin Peaks” reboot. So yes, the accent is part of the point. The Fireman tells Freddie that he needed to go to a hardware store and find an opened box of gardening gloves and purchase them. After a tussle with the cashier and some severe injuries, he then remembers that he was told to go to Twin Peaks. Now he’s working as a security guard at the Great Northern Hotel and freaking Hurley out. 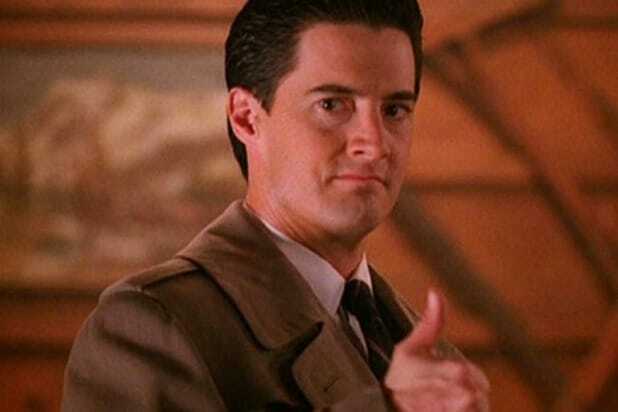 At just under 18 hours long, the "Twin Peaks" revival is the longest David Lynch movie ever, so it's only natural that we're gonna have a whole lot of questions nine hours in. There are, of course, lingering questions from the original series -- but for now let's focus on the many new questions we have before the finale (MAJOR SPOILERS AHEAD). One of the biggest twists of the season was when it was revealed that Diane (Laura Dern) was actually a tulpa, or doppelganger. She had been working for Evil Cooper (or Mr. C as he is known) after he raped her decades ago. But what happened to the real Diane and what was the point of creating the tulpa in the first place? Bad Coop has a lot of weird scenes in which he seems to be setting the stage for something. That something, though, is still totally unknown at this point. Which leads to probably the biggest question in the revival: After 25 years in the real world, what exactly he trying to accomplish? 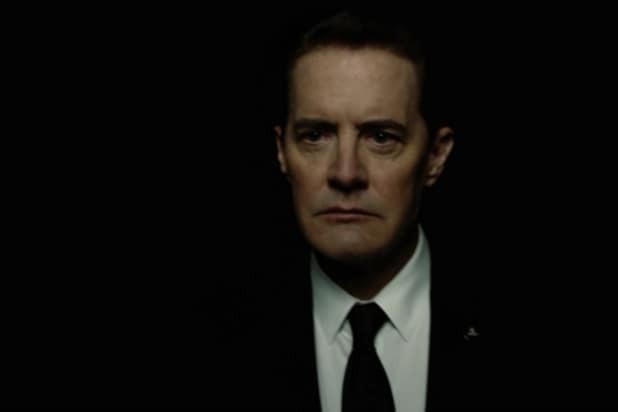 So while everybody thinks the real Coop is somebody named Dougie Jones, the real Dougie Jones is gone now, having been turned into a ball bearing after taking the real Coop's place in the Black Lodge. MIKE says Dougie was "manufactured" for the purpose of that swap. Even though real Coop is back, we still don't know who created Dougie and made the swap. We're worried about Audrey Horne (Sherilyn Fenn). For three parts, she tries to leave her home and can't, thanks in part to her husband Charlie. She's acting erratically, jumping from one personality to another. In Part 13 she even says she's a completely different person. "I'm not sure who I am," she says. "But I'm not me" (which is the same thing Diane said before revealing herself as a tulpa). In Part 16, she finally gets to the Roadhouse and becomes herself again only to wake up in a white room. Is she a tulpa and is the real Audrey being held somewhere? In Part 7, Sheriff Truman calls up Dr. Hayward to ask him about the night Evil Doppelganger Coop came out of the Lodge at the end of season 2. Dr. Hawyard says he took Coop to the hospital for a work-up, and then later found him in Intensive Care with that "strange face" (presumably when BOB shows through). He speculates that Coop was checking on Audrey, who was in a coma after the explosion at the bank. Might that imply that Bad Coop sexually assaulted Audrey? Is she still in the coma? We're not surprised that Laura Palmer's mother Sarah hasn't had a good time since the death of both her daughter and her husband, but what has she been up to? In Part 12 she has a freakout at a grocery store and in Part 13, she's seen sitting in front of a boxing match that continuously repeats herself. Is she just traumatically haunted or does she know something? Her history with visions says the latter, but we're not sure. Ray disappeared into the Black Lodge after Evil Coop shot him. It could've been just the ring that did it, but what if there's a connection between Ray and the Black Lodge? He said he was hired by Phillip Jeffries (or a man saying he was him) so there has to be something here. Was he another doppelganger, summoned like Dougie? Speaking of which, what happened to Phillip Jeffries? He's a teapot now. And then there's this box in New York. When Coop tried to leave the Black Lodge he landed on it, was sucked into it and floated through it before ending up in some other weird dimension. Nobody knows who put the box there and paid some kid to stare at it all day, or what exactly it's supposed to do. Additionally, Albert reveals that Bad Coop knows about it and at one point he was there, along with a bald man in a lab coat. What happened between Bobby and Shelly? We find out in Part 11 that Shelly's last name is "Briggs," meaning the two original series lovebirds married at some point. They even had a daughter, Becky. But we see Shelly making goo-goo eyes at a drug dealer named Red (Balthazar Getty), so they're clearly not together anymore. What's going on with that magic drug dealer anyway? This character, credited as Red, showed up at the Roadhouse in Part 2, where he shot a finger gun at Shelly. In Part 11, we learn he and Shelly are an item, since she excuses herself from a family meeting to make out with him and tell him she'll meet up with him later. Then, in Part 6, he reveals himself as the person Richard is working for -- and he does a bizarre magic trick with a dime that freaks Richard out something fierce. We were treated to a strange scene in Part 11 where Bobby goes to investigate gun shots and comes across a woman screaming in her car about somebody being sick. Then we're introduced to a young girl in the passenger's seat who's practically leaking green fluids as Bobby looks on. Just, what? In Part 10, the Log Lady once again calls Hawk to give him a message, which reads in part, "the Truman brothers are both true men, they are your brothers," "the glow is dying" and "Laura is the one." But what does it all mean? The headless body introduced in the beginning of the series belonged to Major Briggs, who Bill Hastings claims to have met in an alternate reality he and the deceased Ruth Davenport called "the Zone." And he and Ruth found coordinates for Briggs in a "secure military database," and after handing them over Briggs started to float away while saying "Cooper. Cooper." And then Briggs's head disappeared. Where do we even begin with this? Luckily, when the FBI goes to the site -- directed by Hastings -- they do eventually find Ruth's body. However, we still don't know why her head and body were separated. 25 years earlier, Briggs had given his wife a small tube to hide until Bobby, Sheriff Truman and Hawk all visited together. The tub contained some cryptic instructions that only Bobby could understand, as well as a copy of the transmission from outer space that Project Blue Book had received 25 years earlier. The one that was a bunch of normal gibberish but with "Cooper/Cooper" tossed in the mix. Is the implication, then, that Major Briggs is the one who sent that transmission? We should also note that the transmission, which Briggs showed Cooper way back in season 2, would have been sent before Briggs went into hiding. However, given that Briggs had not aged when Hastings and Ruth met him indicates that "the Zone" works differently than Black Lodge that Coop was locked in for decades. Could there be a time travel element in this? And why was Dougie's wedding ring inside Major Briggs' body? By the way: Bill's wife seems to have known Evil Doppelganger Coop -- who murdered her in Part 2. Were the other people in the Zone working with Bad Coop somehow? So it turns out, according to Part 9, that Duncan Todd (Patrick Fischler) was working for Bad Coop (before his death)-- and thus Bad Coop was the one sending assassins after Dougie/Good Coop. How much did Bad Coop know about what's going on with Dougie? Is it just a coincidence that Johnny knocked a picture of White Tail Falls off the wall when he ran into it? What is the significance of that? And what was the point of that scene anyway? At the end of Part 9, we see a young woman named Ella (Sky Ferrera) meet with a friend at the Roadhouse. She has a weird rash on her armpit, and she and her friend exchange weird sentences like "Have you see that penguin?" So, yeah, what does this have to do with anything? In Part 1, our favorite otherworldly giant (Carel Struycken) returned to present Agent Cooper with some knew cryptic sayings: "Remember 430. Richard and Linda. Two birds with one stone." We know now who Richard and Linda both are but what is their connection, especially now that Richard is most likely dead? As Agent Cooper was journeying out of the Black Lodge toward reality in Part 3, he encountered the spectre of Ronette Pulaski (Phoebe Augustine) in some new extra-dimensional space. She warned him that he needed to hurry because "my mother is coming" -- possibly implying a new major paranormal force. And another thing the giant said was, "It is in our house now," which maybe could be referring to that "mother." But what is it? In Part 8, we saw a floating woman with what looked like an umbilical cord coming out of her face -- and an image of BOB appearing on the cord. So is this "Mother?" Who is the woman in the evening gown (credited as "Senorita Dido" and played by actress Joy Nash) with the Giant in Part 8? They live on some part of the spectral plane and appear to have been monitoring that mysterious Mother somehow -- and they apparently created Laura Palmer in response to seeing BOB's face in the umbilical cord. So... what's all that? What's the deal with the hobo ghosts, aka the woodsmen? We'd seen them a couple times in the "Twin Peaks" revival in random spots, but they were front and center in Part 8, seemingly resurrecting Bad Coop and then showing up all over New Mexico in the 1940s and '50s. But what did they actually <em>do</em>? And where did they come from? Did the atomic bomb test bring them into this world from the Lodge? In that other dimension with Ronette and the woman (listed in the credits as "Naidu") whose eyes were covered in flesh, we see a couple of strange machines -- one labeled 15 and the other, which transported Coop to the real world, labeled 3. Later, Coop finds a hotel key from the Great Northern in Twin Peaks for room 315, which is the room Coop stayed in during the original series. Connected? In Part 6, Hawk took apart one of the bathroom stall doors and discovered three missing pages from Laura Palmer's diary -- including the page on which she wrote the supernatural message from Annie from "Fire Walk With Me." Hawk speculates in Part 7 that Leland Palmer hid them there when they brought him in for questioning for Jacques Renault's murder. But where's the other missing page, and what does it say? How's Annie? Heather Graham has said she wasn't returning for the "Twin Peaks" revival, which could be misdirection -- or it could mean she's dead or missing or some other nefarious "Twin Peaks" thing. We've had multiple reminders of her important role in the past, though, which would seem to imply she's still important now, in some way. What is this black box sitting in an ashtray in Buenos Aires? In Part 5 we see it twice, first when the assassins trying to kill Dougie Jones report in to a woman named Lorraine, who then calls the box. Then, later, Bad Coop seemingly also calls the box from prison, after which it morphs into a small piece of metal. Also, Phillip Jeffries (David Bowie) is said to have disappeared from Buenos Aires in "Fire Walk With Me." And Rosenfield says Bad Coop and Jeffries worked together on a thing together in Colombia at some point? And apparently Phillip wants to kill Bad Coop. So what does all this mean and how do the dots connect? What was that weird hum/ringing sound that Ben Horne and Beverly Paige heard in the Great Northern in Part 7? It seems to be coming from everywhere and nowhere -- could this be Josie Packard continuing to haunt the place? Remember, Ben Horne previously saw her face in a drawer pull in season 2 after she died. While Carl is in town, he has a sort of encounter with Richard Horne, when he witnesses Richard plows over a young boy with his truck. In a weird way, we could consider this Carl's "Richard and Linda" day, though that could be a reach. Also, Carl seemingly saw the boy's soul float away after he died -- we know that Carl likely was taken to the Lodge when he was young, but why would a Lodge-related vision manifest for him now? We finally get to meet the kid Lucy was pregnant with all through the original series, and he's a weirdo named Wally Brando played by Michael Cera who makes this really bizarre speech to Sheriff Other Truman (Robert Forster). Somehow this scene is weirder than everything else in the show thus far. What the hell?